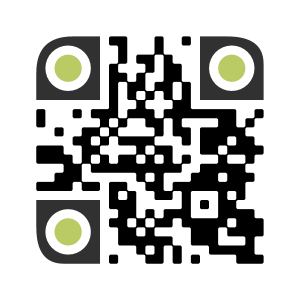 Ever wanted to use and track how well QR codes are functioning when they provide a website link? There is a simple and free method. It uses two tools: A free QR creator and the link tracking site, Google URL Shortener. Again, this is only for QR codes that only provide a link. The second and most important tool to meet our objective is goo.gl. It shortens and tracks links for free and allows you to track. It tracks total clicks and activity over a timespan. It tracks location and referrers. Unless you plan on generating QR codes on a larger scale, you should have a general idea where the QR code is being scanned. The tool also provides which platforms and browsers are used. The Google URL shortener also provides a QR code; however, if you would like to change the size and color of the code, I recommend using one of the other generators. Copy the shortened link and pasted it in the QR code link form, then place the form on the material on you would to distribute. Not a big secret, but a simple tip if you are less familiar with QR codes. Try it out and let me know how it works for you. Have you found other methods to be more useful? Leave a comment! Let me know! After starting my own business, I began to receive quite a few “official” looking letters. The letter asks you to, in accordance with a state official or government law, submit the enclosed file within the designated deadline. "NOT A GOVERNMENT AGENCY AND DOES NOT HAVE OR CONTRACT WITH ANY GOVERNMENT AGENCY." Why am I receiving a letter requesting payment when I’ve done everything required already via an online application? I read the letter through thoroughly, and it has in nice little fine print mixed in with the mess of other official looking content. It stated that the company was “not a government agency and does not have or contract with any government agency to provide this service.” I have receive a couple of these types of scams since starting my business in 2015 and decided, for the sake of others who have started their business or looking to start their business, to let them know to be aware of similar types of scams. If you have any questions on what files you need to send to the state, go directly to your state’s business oriented website. For those in Florida, it is http://www.sunbiz.org/. If you started a business, what other scams have you encountered? Let me and other readers know by leaving a comment below. Information: How much should I give? There are exceptions like not disclosing client information, but generic knowledge should not be restricted. BEFORE the internet, the quote may have been good advice. But if you are like me, I can find everything I ever wanted to know on the internet. If one website does not provide me what I’m looking for, I know I will find it somewhere else. So, let people know that you are competent by telling us what you know. In marketing, we call it content marketing, which is when you provide something useful (blog posts, vlog tips, or e-books in example) for free so that one day you may gain that reader as a client or (job seekers, listen up) become employed because companies can tell you know what you are talking about. Remember, what you are selling them is not more information, but your service. The more knowledge you share, the greater the chance there is for you to answer their questions and be considered as an expert in your field of work. Do you think this is a good tactic to follow? Why or Why not? Let me know by leaving a comment! Lately I have been getting quite a few questions about online monetization. Many people love to write blogs or have created websites for themselves and would like to make some sort of profit out of it. There are a few other ways of monetizing your webpage, but for now we will specifically review advertisements. Pay per click (PPC), also known as cost per click, is when you are paid whenever someone clicks on an advertisement or link you have placed your website. The most common pay-per-click program is Google AdSense. As long as you make sure you have an ample amount of relevant content on your website, Google AdSense is a good option to get started with. However, the revenue from this form of online advertisements is only one or two cents per click. And it may take a few of weeks for Google to approve your website. This type of advertising is also fairly accessible. You get to choose the specific advertisements that appear on your site. However, affiliate advertisements only counts if your site visitor purchases a product after clicking the link. You will receive a percentage of the profit from the product you are promoting. There are a range of companies that sponsor affiliate programs including big names like Walmart and Amazon. Just look at the bottom of their website and that’s where the affiliates page will usually be located. There are, however, a few cautions about affiliate programs. When you do type in the search engine, “affiliate” programs, there are websites that will pop up with certain a list of different affiliate programs. Not all of these programs are legitimate and look very sketchy. Albeit, if you want to market the plethora of lose weight programs and Photoshop tip e-books, be my guest, but I cannot promise you that your product will be of good quality. Of course, don’t just choose a random product to market on your website. Think about who your audience is and partner with the affiliate program that best targets your viewers to get a higher click-through rate and hopefully a higher purchasing rate. This one depends purely on the agreement you made with the company directly. Unlike affiliate programs, direct company advertisements don’t have to rely solely on when you purchase the product nor on how many clicks you receive on the ad. Your partner may just be trying to get seen and will pay based on how many individual viewers hit your site per week, but again this all depends on the agreement you make with your company partner. Below is another article that may be useful to you in starting to monetize your website! Have you already tried one of these options to monetize your website? If so, which ones did you use? If you tried more than one, which methods worked best for you? Marketing Defined: Who is an Influencer? These are the people you need to be aware of when getting your product into the hands of the consumer. What traits make an influencer? While I am sure there are many traits, I’ll just list the main traits I have noticed. Perceived knowledge – Influencers can also be experts under certain categories. They may not be influential in the fashion world, but have a great deal of power when it comes to the latest and greatest technology. Positivity – Who doesn’t want to feel good about themselves? People love being around others that will make them happy. A sense of realism is fine once in a while, but if every conversation you have is negative or selfish-sounding, it tends to turn people off. Followers – Of course the most obvious trait of an influencer is having followers. They have those who look up to them and may even mimic their interest out of pure admiration or follow them as I had said before because of the knowledge they have about certain subjects. Do you think these are accurate traits for an influencer? If not, what would you add or leave out? Let me know by leaving a comment! Paraphrased, the two most important things for a business is the value you bring to the customer and what you do to get that value into the hands of the customer. If the former is innovation, then the latter is marketing. There are four very important things to consider when marketing and these four things are drilled into the minds of every marketing student. The four essentials are called the four P’s of Marketing: product, price, place, and promotion. Entire lectures can be based on each of the four P’s, but for now, I will keep it simple. The product is the good or service you are selling, whether it be a tangible good, like a toothbrush, or a service, like repairing a car. For a product like a toothbrush, one must consider how easily can it be used to how attractive is the packaging, or what information must be put on the packaging. One also has to consider if the product is a generic good or a custom product. How much is the product being sold for? If you pay attention to your local grocery market, many of the discount products should end in .99 or a .09 of some sort. Studies show that people will perceive products ending in 9 to be cheaper than products with nice round numbers. With a very powerful psychological effect, setting the price can help consumers perceive your product as anything from a discount, low quality good to a premium item. Place consists of everything between where your product is located and how it will get from one place to another. Consider your favorite breakfast cereal. How did it end up on the shelf, why is it on that shelf in particular, and where was being stored before it reached that shelf. A restaurant owner, similarly, needs to know where to put their building to get the best inflow of customer traffic it can at minimal cost to the owner. And to wrap things up, we complete our short description of the four P’s with the most well-known of the four. This considers every possible medium to get a product seen and heard by the consumer, which includes the traditional TV advertisements to even using your friends to refer you to a product. Try picking out a good or service and point out each of the 4 P’s for that product! This was a post based on a question I was asked a while ago from one of my readers. If you would like me to expand on anything I talked about in this post or have a completely different question you would like answered, please leave a comment or send me a message! Are you student or a business looking to get connected? Don’t know where to start? There are many ways to get connected online or offline, but I’ll tell you about a few useful sources you should definitely utilize. Known as the Facebook for professionals, LinkedIn is able to connection individuals seeking employees to those seeking jobs. If you do not have a LinkedIn, I highly recommend you get one. One of the uses I have it for is as an online version of my resume, if you use it for nothing else, but please use it for more. Like normal Job search sites, it has a location where companies have posted up jobs, and where employers can input a description and find potential employees. View Stephanie Buck’s crash course for LinkedIn to get a better feel for this professional social network. 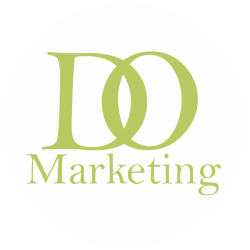 I’ve noticed I enjoy the topic of Twitter, seeing it in many of my e-marketing posts! I find that this is an excellent way to get connected to professionals in well-known companies. There are a couple of things you should recognize however. When sending Tweets, try to refrain from saying, “Check out this! www.~.com!” These direct tweets look like spam; I tend not to open nor pay attention to the link. Through sincere conversations, you are more likely to get better reactions from your Tweets. It is a good idea, also, to follow people and connect with people who work at the recognized companies that you think will benefit you; however the people you follow may not necessarily be the company VPs. Chances are people who have over 10,000 followers receive messages frequently and you less likely to get a response from them. However, if you are able to find people who work at the company you want to get connected with that may have between 100-and 1,000 followers, you are more likely to get a response. What a great website to find networking events that allow you to meet potential connections face-to-face! One of the Meetups I had gone to last year was a SEO Marketing Meetup, where I was able to meet local SEO professionals and gain a better understanding of the topic through their insightful discussion. Getting connected online is great, but I’m quite fond of the traditional face-to-face “Here’s my business card. Let’s talk more over coffee.” Check out Meetup at www.Meetup.com. I would not necessary recommend looking up employer’s personal accounts like you would on LinkedIn or Twitter, but you have several resources on Facebook that can aid you in getting connected. Facebook has developed Facebook groups and pages in which people have created professional networking for. An example would be in the image to the left. Some of the groups are open and some of them are closed. Many job openings are posted by students who have just moved to a new company or have recently been promoted. For students looking for work, this is a good way of getting connected with a job. In the past, when I was working on my fundraising project, I actually ended up using Facebook Groups to find people who were wanted to help my team do fundraisers. Are you already an avid networker? What networking methods to you use? Leave a comment below! Although I tease Google for forcing Google+ upon us, Google is actually has a variety of very useful tools for any business owner. I know the hype there is about Search Engine Optimization. What key words should you use on your website to get the most hits through Google? Google has developed a service called Google Trends which helps with one’s SEO dilemma. As a free resource, I believe it would be very beneficial to small businesses and business start-ups. To start, go to Google Trends under Explore. Type in a couple of key words related to your product or service and analyze the trend going with that word depending on what topics hit the news sites and how often those keywords are searched. In the following picture (Figure 1), I did a search for e-marketing, global marketing, social media, and entrepreneurship. The chart tells me, relative to the other key terms, Entrepreneurship has been searched to most. However, “social media” has been a growing trend among the digital population. The following display, Figure 2, demonstrates regional interest and related searches. If you are a global company trying to build an online presence or market, regional interest can help you determine which markets to focus on. I wouldn’t put all my hope on this portion however; key term popularity by region should not be the primary decision maker. For me, this is more of some nice to know information. The Related searches portion, on the other hand, would be the most helpful. The Related searches section helps you determine what keywords are the most popular or rising the quickest in popularity so that you can add them to your web site for better SEO. Under the queries section of related searches, it has two tabs, the “Top” tab and the “Rising” tab. The “Top” tap demonstrates what is most searched, while the “Rising” tab shows what keywords are increasing the quickest in popularity. Have you used Google Trends before? If so, would you recommend it to others or is there another program, free or not, that you prefer? Leave a comment and let me know! Writing a blog… But I don’t know what to write about! I suppose this is the most common issue that comes up with my colleagues wanting to write a blog. They may have one or two brilliant blog ideas but then have nothing else to update their site with and end up abandoning their efforts early on. I may not be able to help you brainstorm– I take that back. Who knows? Shoot me a message and I could toss out a couple ideas for you! But either way, let’s get you walking in the right direction. First pick a topic or two you would like to write about. You could do what I first did and post random topics at random times, each post completely unrelated to the other (How embarrassing talking about my younger years). However, what you write might not always meet the interests of your readers, causing them not to want to revisit your blog. Pick something you are interested in; it could be something you know about or something you are interested in learning yourself. Do you like soccer? Talk about the players, coaches, teams, and maybe add some tips for those learning about the sport. Are you a creative writer? Write short stories, fan fictions, or novels that will attract your literary enthusiasts. Where do you live? You could talk about the local attractions in your neighborhood not many people are aware of. Unless it is some sort of news blog that requires the most recent updates, I suggest that you get some posts written up before you create your blog to update weekly or biweekly. This will give you ample time to come up with new content for your blog. I suggest this same strategy when starting a vlog (Video blog) as well. Just writing that phrase brings me nightmares! Never fear; there are ways of pushing past that dreaded feeling. Go back to your topic and think of keywords or phrases related to it and input that into the search bar. Reading other blogs may give you that boost you need to write. If that does not help, use a friend to help get ideas. For this blog, I find myself asking my friends what they want to read and have them ask me questions they want answered, as long as it is topic consistent. If they asked a question you don’t know the answer to, just do like before and read other blogs to learn more about the topic. But don’t steal ideas! Be sure to reference back to them if you took an idea directly from them. Or again you can shoot me a message! Maybe I can provide you with a different perspective. I’m always eager to help a fellow blogger. Do you have a blog or a vlog? What is it about? Now’s your chance! Promote it by leaving a link to it in the comments section below! 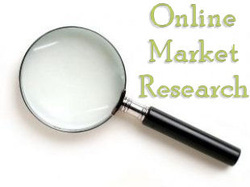 Online Marketing Research: The many ways to collect your information! There are so many ways to collect consumer data now and days that market researchers sometimes find themselves in data heaven. Some consumers don’t like the idea of having their information too readily available. But unless you live without internet, one way or another your information will be collected. Of course there is the most obvious way of data collection, and a more traditional approach turned digital, surveys. Many of the online survey banks pay consumers for their time through direct cash or other incentives, such as being entered into a contest. If you are seeking to elicit your own surveys, programs like Survey Gizmo or Survey Monkey can provide their services for free for some of their features. There are other old school methods such as online focus groups and video interviews that have turned digital. Another way of gathering consumer data is through social media. Have you ever found an ad on your Facebook page related to your location or something you recently posted? Facebook collects information on your page so businesses can effectively target you. That is some of the harmless data collection. 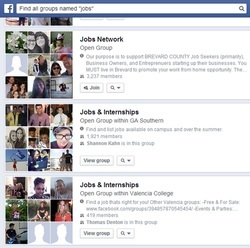 Employers use Facebook as well to collect information about you. If you are looking to get hired but have a picture of yourself getting drunk or something else of similar standing, and employer may not hire you. I’ve spoken to many employers who have found questionable content about their employees and job applicants on their Facebook pages. Employees were soon released from their positions and job applicants were no longer considered for the job. Moral of the story: Remove questionable content from your social media sites and keep them clean. Twitter, on the other hand, can be a very valuable asset. There are many online twitter programs used by market researchers to discover what people are talking about, where they are talking about it, and who exactly is talking. Programs like TweetDeck help us stay updated on the latest trends of certain topics. And like I mentioned in my previous post Twitter is used very often by news and media. Market research is done with other social sites as well in similar ways, but Facebook and Twitter, I believe are the primary sites. What better way to learn about consumers than to visit the most voiced group of their market? Well-known companies can visit the sites of bloggers to learn what in-depth insight consumers have about their product. Information is not just collected from what the blogger says, but what their readers are saying when they comment on the blog/vlog posts. Entrepreneurs looking for a problem to solve can also look at these blogs and the comments for a potential market. A couple of other methods for online data collection are directly through the business's website and through search engines, with Google being most famous for the topic. As I mentioned before, the internet is an online goldmine for consumer data. Every click and search term you type is searchable and collectible. When you are on a shopping website, they often give you product recommendations based on what you have previously searched and looked at in the past. Since many businesses and websites use Google advertising, much of what we search in Google is tailors what advertisements we see on websites. I know sometimes online advertisements can get pretty ridiculous when targeting consumers. Sometimes the data collection does not always work. For example, I post one status in a different language and start getting advertisements in that language, whether I’m able to read the ad or not. What are some strange online advertisements you have seen? 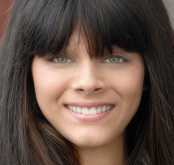 A Marketing Major with an interest in e-Marketing, International Marketing, and Entrepreneurship.